Whether you are intending to set up a new call centre or a department for sales support, having telephone system for work purpose is important as it serves as the point of contact between the helpdesk officer and the customer regardless for the internal or external purpose. Nowadays, businesses have more options to choose either a landline, VoIP (Voice over Internet Protocol), virtual system or cloud-hosted. Depending on the nature of the business, choosing a “right” phone system can be a challenging task especially for those new startup businesses who don’t have any experience in using telephone systems for their office. For a start, it is good to know how different types of telephone systems work and the IT requirements in terms of software with or without hardware installation. For example, For landline or VoIP systems, the in-house IT personnel need to install and maintain a PBX (Private Branch Exchange) equipment whereas cloud-host or virtual telephone systems have fewer requirements since the PBX equipment are the host and maintained by the service provider. This means that it’s easier for the IT personnel to monitor and manage the system’s functions instead of both the infrastructure and the features which is usually more costly and time-consuming to maintain. With the ever-growing demand of mobile services, telephone systems have designed to more compatible with mobile devices such as mobile phones, tablets or laptops that can be easily integrated with popular business solutions such as Salesforce CRM software or Outlook email. Not to mention the price to purchase or rent the telephone systems software are more affordable and both IP or analog desk phones can be programmed to host the systems. Although analog phone will still need an adaptor to connect to the phone system online. As a basic benchmark, a reliable telephone system shall provide these ten common features from the IP PBX systems such as Call Transfer, Call Waiting, Call conferencing, Do Not Disturb, Voicemail, auto-attendant, Recording features, System’s security, Call Logging and Analytics and Control over Active Calls. There are easily more than 20 service providers that provided specialize telephone systems to their clients in Singapore and the below are the 10 most popular telephone system’s brand for your reference. Cisco – It is one of the well-known enterprise level phone system that are available on either on-premise or cloud-host solutions and can easily support a big number of users. Cisco’s unified communication systems are easily configured and multiple call features for different business uses. Ayava – Another popular On-premise system that has a large clientele in call centre industry, it offers companies with different platforms to suit their business needs and can also be customized to provide features for their client’s requirements. Converged Solutions – One of the leading cloud-based call centre service provider in Asia Pacific, this company provides enterprise level cloud-based call centre software known as All-Touch Cloud Call Centre which is not only cost effective, multiple call features, easily maintained by the service provider and can be used to set up call centres or office phone systems without much hassle. Genesys – It is a technolgy company that specializes in multiple business software solutions and the Genesys PureCloud Cloud-based contact centre platform is well sought after by companies around the world, especially in complete business and communication solution. Singtel – One of the well-known Telco service providers in Singapore, it has a strong infrastructure network and services and can easily support their business customers for on-premise or other related phone systems services. Starhub – Similar to Singtel, it is also telco service provider in Singapore that provides similar phone system services to their business clientele. Skype – It is an affordable online phone system that provides several calls and text features that can support multiple end-users on a global scale. Verizon – Similar to Skype, Verizon’s business phone services offers many call features that can be easily installed online via laptops or other mobile devices to provide call related services. eVoice – It offers virtual phone service which can be easily downloaded online that offers multiple call services such as video conference services that allow up to 25 participants and up to four video feeds that can be displayed in real time during the video call. 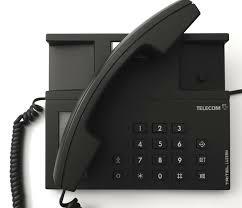 8×8 – It is a very popular online phone system which is suitable for small business. 8×8 has multiple phone features, affordable and easy to use and has features to allow the employees to use their mobile phone as the office lien instead of using a standard business phone.